Shortly after mailing my request for a will for Samuel Caple of Ohio, my husband and I visited a used bookstore. As I gazed at a shelf of fiction, my husband rounded the corner. “I found something for you to look at.” he said. He handed me a thick book of genealogical queries. He pointed to an entry – “CAPLE, SAMUEL.” A Daisy Lee Grimes was looking for more information about her great-grandfather, Samuel Caple, born in Maryland and who had lived in Ohio. I was fairly certain this was the same Samuel Caple I was looking for. I would have called her right then and there except the book was from the 1940’s, it was unlikely that now in the 1990’s, Daisy was still alive. The following week I perused the shelf containing family genealogies at my local library. I knew there was no way I was going to find a Caple genealogy, still I looked. My eyes scanned the titles for surnames beginning with C – “History And Genealogy Of The Caples Family And Allied Families Of Maryland.” Surprised, I pulled the book off the shelf. Could this be my family, Jacob was from Maryland. I opened the thin, hand bound book. It had been written in the 1960’s. The Caple’s in this book were from the earliest days of colonial Maryland. I still had a lot of work to do before I could discover if we connected to this family. But how had this hand typed copy from Maryland ended up in a Tacoma, WA library? The following week I went to the Seattle National Regional Archives to work on another branch of my family tree. I was re-winding a microfilm when the archives announced it would be closed in 30 minutes. I gathered my things and went to slip the film back into its place in a file cabinet. Bent over, I glanced sideways, the words – CAPLE, SAMUEL – jumped out at me. It was the first entry for a drawer full of Revolutionary War pension files. Why was I suddenly finding the name Caple everywhere? Never mind the archive was about to close, I had to see what was on it. I hastily threaded the microfilm onto the machine. I scrolled forward, the file was long. Quickly I skimmed, the old, difficult to read, cursive writing. Fortunately the pages deemed to be the best source of genealogical facts had been placed at the beginning of the file. 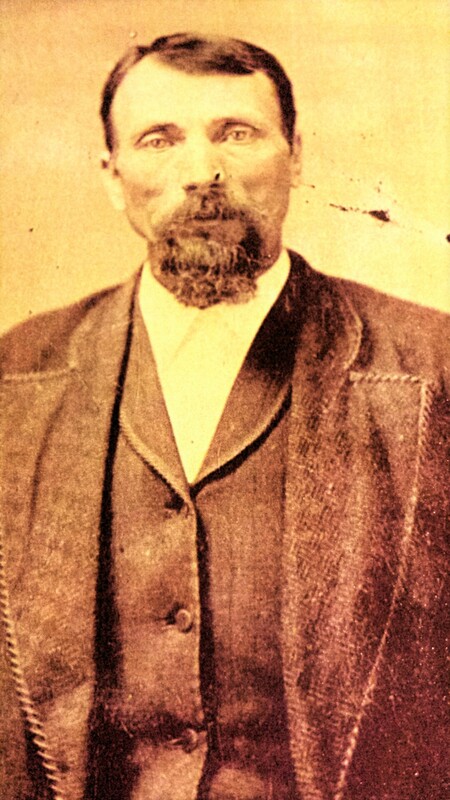 This Samuel Caple had been born in Maryland. He hadn’t mentioned children by name but did say he had sons. And since he was born in 1752, he could easily be Samuel Caple of Ohio’s father. But it was too soon to jump to such conclusions. I left hoping someday I would have reason to return and inspect this film in detail, in the meantime I had to prove or disprove Jacob was the son of Samuel Caple in Ohio. Only then could I begin to look for a link for someone in Maryland. Now more than ever I was anxious to find Jacob’s father. On a rainy day a few weeks later, I pulled a thin envelope postmarked Ohio out of my mailbox. It looked much too thin to contain the information I wanted. With shaking hands I ripped the envelope open and pulled out the will for Samuel Caple of Richland County, Ohio. I began to read the difficult to decipher writing ; fingers crossed it would contain Jacob’s name.